The origin of the name la Petite France, has a less-than-lovely origin – it comes from the Hospice des Vérolés (House for the syphilitic) which during the German occupation was called Franzosenkrankheit (French disease). While the name’s origins may not be charming, the alleyways, canals and houses most certainly are charming! 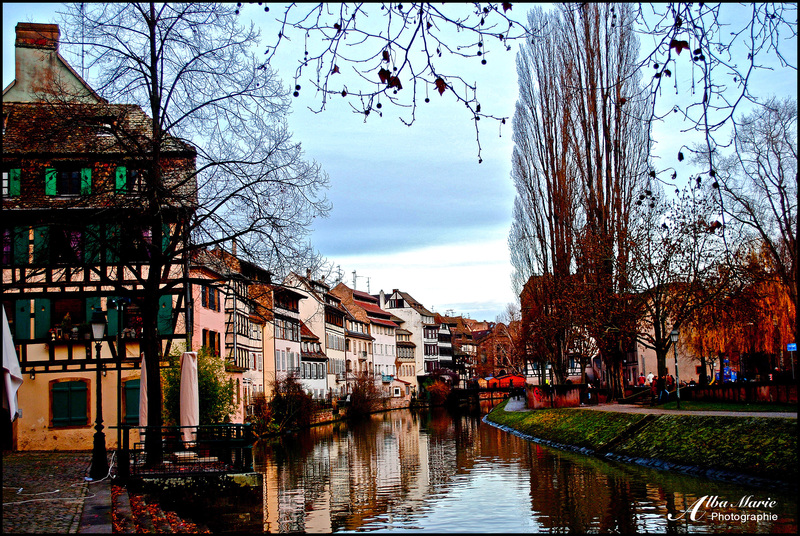 Alsace, the region of France where Strasbourg is located, has a complicated history, flashing back and forth between France and Germany for much of it’s past. 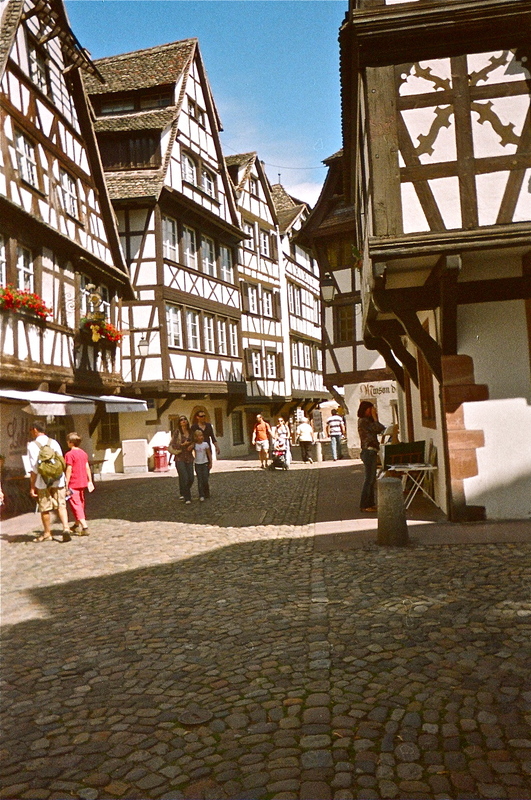 In the Middle Ages, la Petite France was the economic centre of the city, and Strasbourg as the region’s most important city. La Petite France once comprised of many merchants, millers, tanners, fishermen and other tradesmen and artisans. Today a UNESCO World Heritage Site, la Petite France (‘little France’) seduces history, culture and architecture buffs with its quintessential streets, half-timbered architecture, colourful houses, quiet riverbank, and charming shops. At Christmastime, the Strasbourg Christmas Market is one of the most famous in Europe and is generally agreed upon to be the best Christmas market in France. Hot wine, sausages, and sauerkraut are local favourites – especially when the weather turns cold! The impressive Strasbourg Cathedral was the world’s tallest building from 1647 to 1874 (so, for 227 years! ), and today, it remains the 6th-tallest church in the world. It is the sandstone from nearby Vosges that gives the cathedral its unique pinkish hue. Welcome to the border between France and Germany–and it’s straight out of a fairy tale. At first glance, it looks like Germany–probably because it was built by the Germans–but then, in one of the many border-changes that has plagued Europe ever since kingdoms and countries have existed on the continent, it became French. Walk into a seemingly Germanic bakery, and you will be greeted by a Frenchman speaking French in a French cafe. If you began your journey in Germany, this can be a tad disorienting. But all is forgotten when wandering around the Grande Île, Strasbourg’s beautiful city centre, and a UNESCO site. Strasbourg Cathedral, today the 6th tallest in the world, was once the world’s tallest building, surpassing even the Great Pyramid of Giza. Outside of mere architectural beauty, Strasbourg has solidified its fame and importance for another reason, supplying the world with something that, in a way, we still use today. It was here that, around 1440, Johannes Gutenberg created one of the most important inventions of all time: the first European movable printing press.